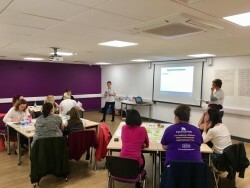 At our recent AGM, we said that we needed to make sure that we let our families know more about what we’re doing, for example the meetings that we’re attending on your behalf and what changes are happening as a result. To do this, we’re restarting “WarrPAC Work Wednesday” to send a quick summary of what we’ve been up to, so here’s the highlights from the last week…. Monday – Sharon attended the “Staying Connected” meeting – a regular get together of groups involved with disability issues across Warrington. It helps us to keep in touch with others, e.g. 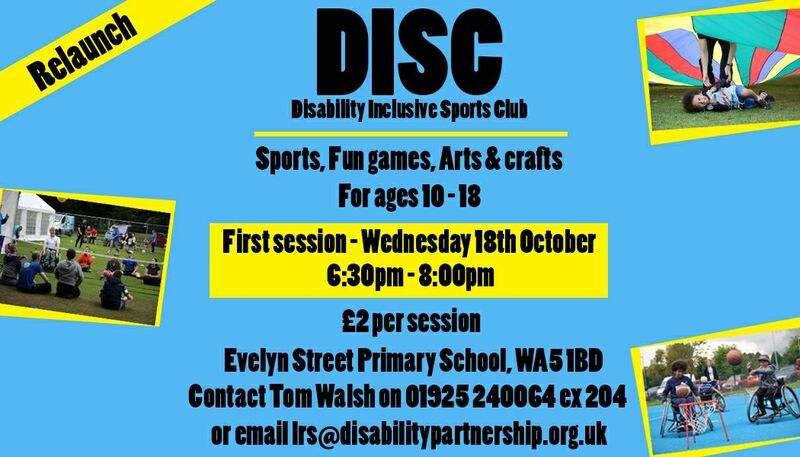 WDP relaunching their Disability Inclusive Sports Club (DISC) for ages 10-18. This month they had a guest speaker talking about Wills / Trusts / Power of Attorney. The group includes Warrington Disability Partnership, WIRED Carers Centre, Warrington Clinical Commissioning Group, Carers UK, Muscular Dystrophy, Assisted Living Team, Warrington Visually Impaired. We will pass on any useful information from the group on our website and Facebook Wall / Twitter Feed. Tuesday was our parent/carer training on supporting brothers & sisters of children/young people with SEND. Great training from Contact. It was also “World Mental Health Day,” so we shared some useful links on our Facebook Wall. Wednesday – Andrea joined in the Cinnamon Brow Park consultation that is earmarked for renovation, and sent us the DISC information to share on our Facebook Wall / Twitter Feed. 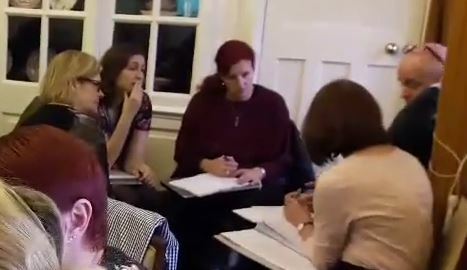 Thursday – Gail went to the “Early Years Strategy Group.” This is an important group for WarrPAC as we want to get alongside parents and carers at the earliest possible opportunity in their journey – we all remember how tough those early days were. The group were looking at the gap between boys and girls in Warrington (this is a national issue) and the impact of SEND in the early years / nursery provision etc. Sharon traveled to Birmingham to attend a seminar “Early Childhood Intervention without Tears.” Not only was this a really useful and interesting seminar, but Sharon also went with the LA’s lead in this area, again helping us to build up contacts and influence. Friday – Was a massive meeting for us, focusing on all things SEND Strategy. It may seem like little has happened on this since our conference in March but there has been a huge amount of work undertaken, and we’ve been involved every step of the way. Monday – was WarrPAC’s own Steering Group Meeting, where we get all our parent reps together to share news and actions. Also invited are NAS Warrington, SENDIASS, Ask Ollie – Warrington’s Local Offer, Local Authority representation. We had a packed agenda and lots for Team WarrPAC to work through. Meanwhile, Jean attended the Warrington Inclusion Hub meeting – another essential one for our families looking at education provision across Warrington. They are looking into eight priority areas: Education, Health & Care Plans; Accurate Identification of Health Needs; Pre-school Education; The Local Education Offer; Readiness for Adulthood; Social, Emotional & Mental Health (Behaviour); ASD; Quality Assurance. Wednesday – Today we will be meeting up with the Wired Carers Centre and attending the Children’s Centre Network Board. In the evening, Jean will be running the ADHD support group session. Apart from all the meetings, we’re also working on lots of mini projects on your behalf e.g. Anne and Sharon are working to get a more informative flyer to distribute across Warrington. They’re also looking into more information being available at the Child Development Centre and Children’s Outpatients. Sarah is working to build up the Family Engagement Team to reach out to more families. We’re getting out to more schools / designated provisions etc. Andrea is pushing the Play and Leisure agenda forward to increase the range of social opportunities. She also chairs Families United and is a governor at Green Lane School. Beccy has been working behind the scenes as our treasurer – a truly thankless task! Jean, Sharon and Gail are involved at strategic levels in all sorts of areas including the SEND Strategy and Short Breaks. All the team are involved in following up email and phone queries – between us we’ve got a lot of experience in varied areas so we’re always happy to help / signpost. With Sharon our development officer coordinating everything, keeping all of our ducks in a row, and sending reminders for all our MANY involvements. I hope this helps to keep all our families up to date with all that we do – but we can’t do it without you! Send us ANY feedback you have on services via email at warrpac@gmail.com or to devofficer@warrpac.org Alternatively, call us on 07940 466092 / 07581 302172.